The world is taking giant steps in technological advancements with each passing day. Every person we know is spending more than they can afford in purchasing the latest gadgets and appliances. While we spend thousands of currencies in getting the latest model of gadgets and electronics, do we spare anytime wondering what would we possibly do if something happened to this expensive buy? These electronics are available at souring high prices and the jokes surrounding one kidney sale equals to buying the latest smartphone isn’t completely untrue. While there are companies that work really hard to launch these unparalleled gadgets in the market, there are companies that work doubly hard in offering unprecedented service of protecting these off-the-roof lavish items. XCellInsIndia, founded and started by Gaurav Upadhyay, is the most recent entrant in the after sales insurance sector. However, unlike their competitors and predecessors in this business, XCellInsIndia is here to stay because of their personalised approach to the same business. Instead of focusing on and magnifying the insurance benefits, they have built their business model on customer welfare through and through. A young lad from Ghaziabad (NCR), Upadhyay is an engineer by degree and was pursuing a promising career as a digital marketer with HT Media in Delhi. Circumstances and fate led him to run a thorough research in his this field of interest and in early 2017, he launched his own company XCELLINS TECHNOLOGIES PRIVATE LIMITED. He entered this market to not just provide better insurance and ensure security to all the gadget owners out there, but to also offer these services at a reasonably timed manner. In 2018, no person can wait for their phone or laptop insurance provider to turn around their gadget after 3-6 months. Within 14 months of starting up, the young entrepreneur has made significant progress as far as the services are concerned. He claims an average servicing time of 5-7 days for any insured gadgets with ExcellInsIndia. 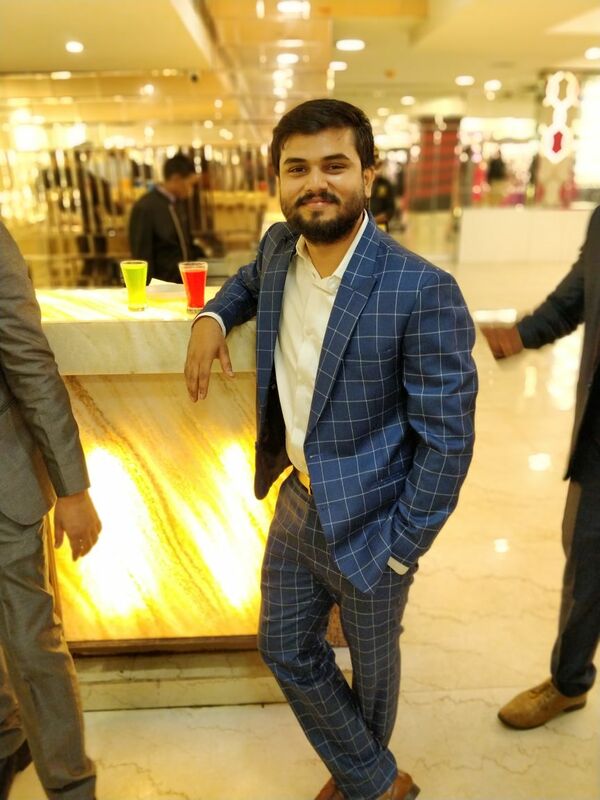 Upadhyay knows that every type of business out there has competitors or develops competitors over a period of time, he doesn’t mind the other fishes in the sea, his focus is to put customers’ concerns right on top and reduce the gadget-return time. He believes when a customer pays for insurance, they also buy their prerogative to have their gadgets back at the earliest. In the world that functions by the thumb rule of “customer is king,” most companies fail at offering services. Looks like XCellInsIndia is here to live by the thumb rule as well as succeed at that.